ISLAMABAD: With the third revised deadline to wrap up corruption references against the Sharif family set to expire on July 10, the accountability judge has decided to seek another extension from the Supreme Court, as the defendants counsel urged the judge to recuse himself from the case. 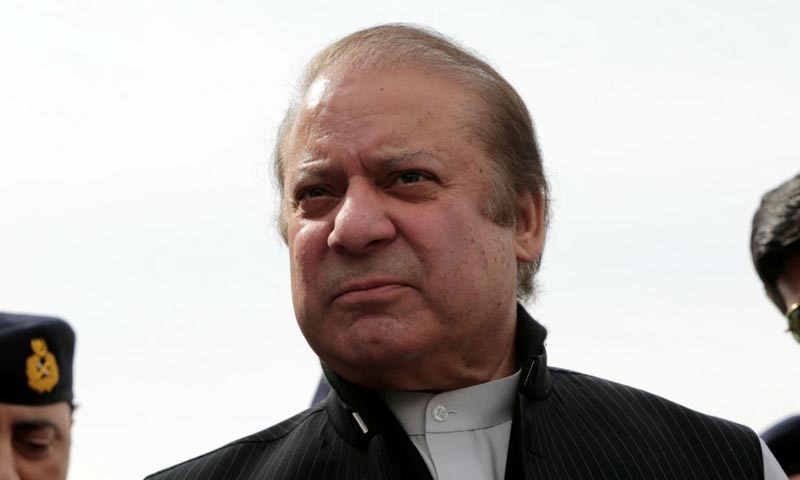 On Friday, the accountability court had sentenced deposed prime minister Nawaz Sharif to 10 years rigorous imprisonment in the Avenfield reference, while Nawaz’s daughter, Maryam, was handed a seven-year jail term for abetment in the purchase of the posh property in London, and one year for non-cooperation with the accountability watchdog–sentences will be concurrent. Further, Maryam’s husband, Captain (r) Safdar Awan was sentenced to a year’s rigorous imprisonment for not cooperating with the NAB authorities. Nawaz and sons Hussain and Hasan are accused in all three references whereas Maryam and son-in-law Safdar were accused in the Avenfield reference only. The two brothers, based in UK, have been absconding since the proceedings began last year and were declared proclaimed offenders by the court. Their trial in the high-profile corruption case has been separated from other family members’ owing to their continued absence. Accountability Judge Mohammad Bashir adjourned the hearing on Monday till July 12, after defence lawyer Khawaja Haris pointed out that the evidence of Al Azizia reference was similar to that of the Avenfield reference — the verdict of which was passed by the accountability court on Friday. Therefore, Haris said, the judge should recuse himself from the case, arguing that since the evidence in both the cases was similar, the verdict in Al Azizia reference could be the same. Judge Bashir agreed to refer the matter to Islamabad High Court (IHC). If the high court deems Haris’ arguments valid, the case will be transferred to another accountability court. The IHC holds the authority to transfer such cases to another court. Judge Bashir also said that he would write to the SC to request more time for the Al Azizia and Flagship corruption references. Haris further argued that the proceedings should be conducted once directions from the Supreme Court have been received in this regard. “Nawaz and Mayam are returning to the country on Friday” he added, pleading that the hearing be adjourned until July 16. “We wanted all the references to be decided simultaneously,” Nawaz’s counsel remarked further. However, the hearing was then adjourned until July 12. Moreover, Panama case joint investigation team head Wajid Zia had also appeared in court during the hearing for cross-examination.